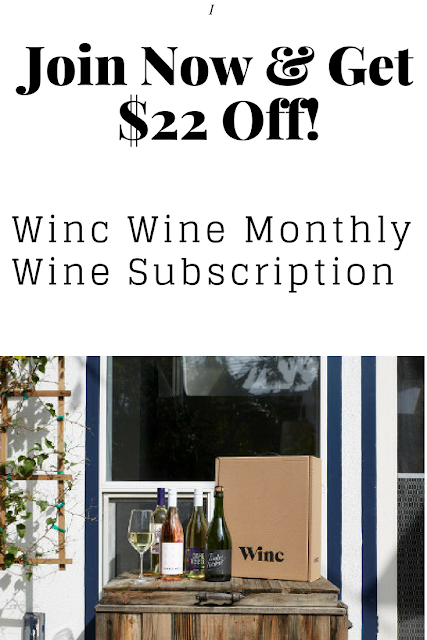 If you're a wine lover, addict like me, let me let you in on a monthly wine club subscription that you may or may not have heard about. 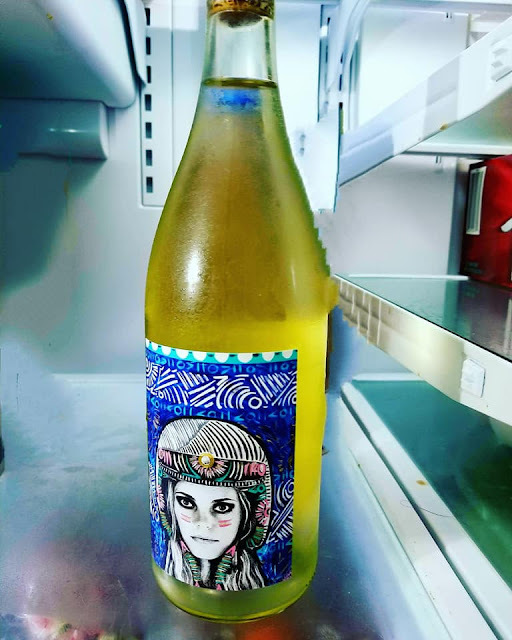 Winc is an online wine club site that offers 4 personalized wines each month. Bottles start at $13 each. Winc is not your traditional wine club: they are a direct-distribution global wine company that personalizes the entire wine experience, perfecting how wine is made, distributed, perceived and purchased via their Palate Profile quiz that recommends wine based on your unique tastes and enjoyed on behalf of a new generation of wine drinkers. 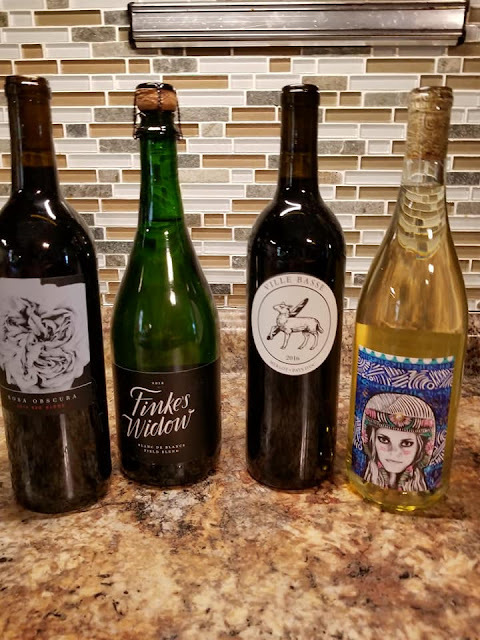 I received my 4 bottles of wine a few days ago and I must admit, Winc done a pretty good job of choosing 4 random flavors, based off the results of the quiz I took. I will have to say (and this should come to no shock if you know me) but the Merlot was my favorite...or was it the Rosa Obscura (red wine?) Either way, these were my two favorites! I don't drink white wine, not that I don't like it, but Merlot has always been my top pick. The Funk Zone was a blend of Sauvignon Blanc and two other white wines and I actually liked this wine. It was a little on the dry side, but that is how I like my wine. The Funk Zone bottle was a fun designed looking bottle, which made it the first one I opened. 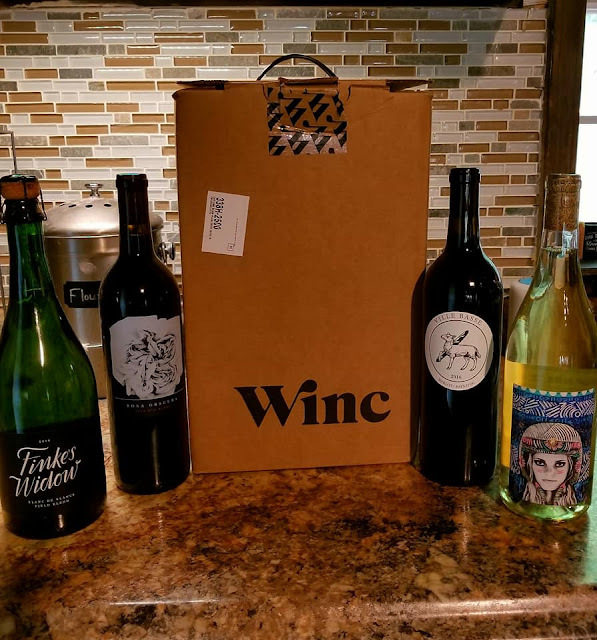 The bottles came carefully well packaged in a box, that displays the company's name, Winc. I had a convenient handle at the top, easy for carrying around. Inside the box were the 4 bottles, nicely nestled under crate material. The selection I chose were 2 white and 2 reds. 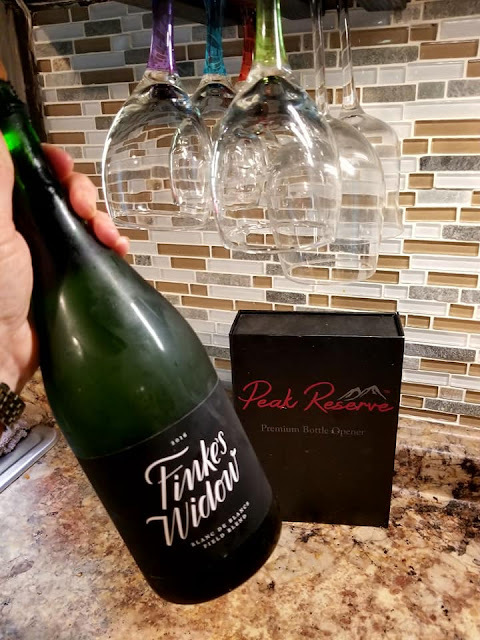 I can't tell you how eager I was to tear into each one, but being the more responsible and somewhat patient person I am...I decided to open two - just to compare Winc's red and white. I really enjoyed taste testing each wine, comparing them to my normal brand. I hate to say this (or maybe I don't) but I really enjoyed Winc Wine better. Maybe it's the quality, as my normal brand is probably the cheapest you can get, so it does matter (and makes a difference) in what you purchase and sometimes paying just a little bit more, is worth having a wine you know you will always love and count on. You can take your Personal Palate Quiz and find out which wines Winc choose for you. Remember...when you can receive $22 off your first subscription, just by being a new member. you can visit: www.trywinc.com/usfamilyguide to get started now! ***I received complimentary product(s) for testing purposes, in exchange, for my honest and unbiased review. REGARDLESS...all opinions expressed are 100% my own.